There are some handy tricks to help you search better in WordPress, see this post by podz. 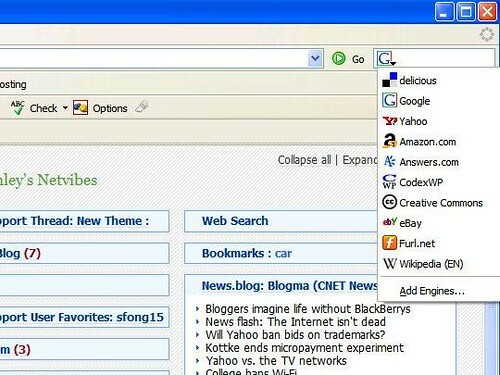 If you go to podz's site HERE, there is a way to add search engines in Firefox, what you'll get is below. One minor thing to warn is that when you save the codes in your notepad be sure to put file name between quotes, i.e. "codexWP.src" or else windows still set that as a text file not file with ".src" extension.